The life of a cartoon isn’t always easy! Meet JFish, a cartoon fish man just trying to draw some comics, ride his bike, sleep as long as he likes, eat a burger, laugh with his friends and have massage sandwiches with his wife, Robin the cat. Will JFish survive being pulled from a speed boat at tremendous speeds… or will he become “one with the fishes”?! 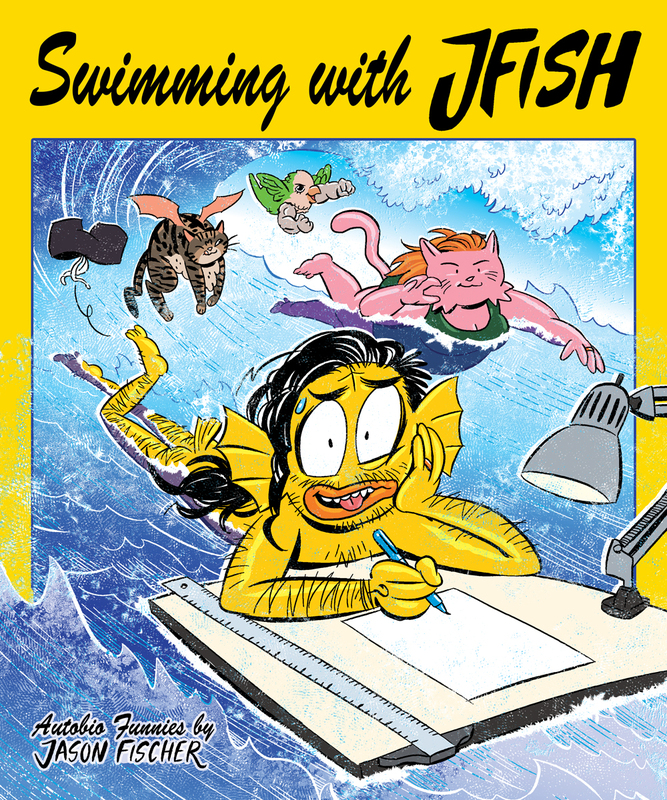 Swimming With JFish by Jason Fischer (Terra Flats, Seconds Helping) is a new book of autobio comics told in an anthropomorphic world full of colorful characters and emotions.